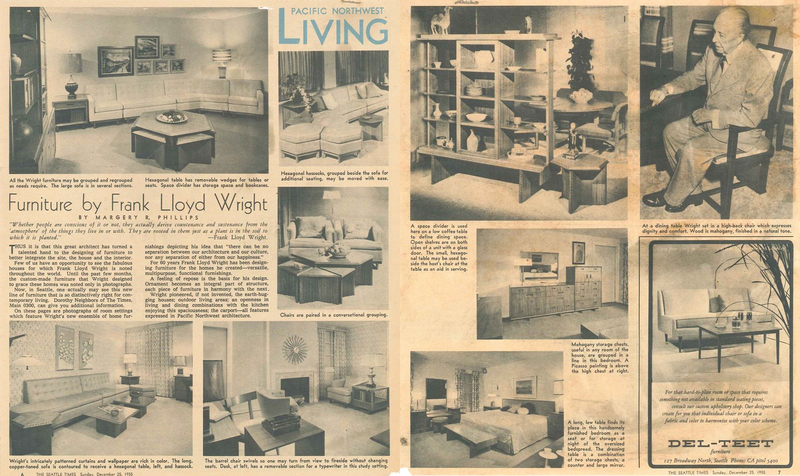 In fifties America, if you couldn’t live in one of the architect Frank Lloyd Wright’s houses, the next best thing was to fill your existing house with his line of home furnishings. The range, which was designed by Wright and produced in partnership with five different companies, included fabrics, wallpapers, a palette of 36 custom mixed paint colours, rugs and 75 pieces of furniture made by Heritage Henredon. 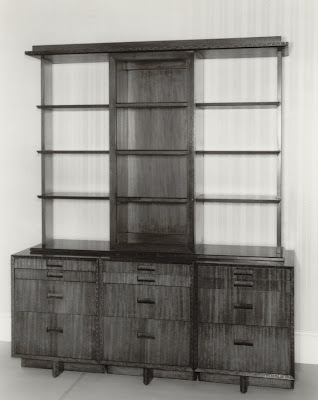 Wright had been designing furniture for his buildings since the 1890’s, writing in 1908 that ‘the most satisfactory apartments are those in which most or all of the furniture is built in as a part of the original scheme.’ So his decision in his late eighties to produce furniture commercially was seen by some as a compromise of his ideals. Wright designed three separate lines for Heritage Henredon, ‘Burberry’ circular in form, ‘Honeycomb’ more triangular and ‘Four Square’ which was the most conservative of the designs. ‘Four Square was the only one chosen by the company to go into production, renamed ‘Taliesin’ after Wrights Wisconsin home. The furniture was designed to have ‘infinite adaptability to American living’. Desks could be used as dressing tables, small tables could double up as chairs and bookcases had moveable tops so that could be used as room dividers or on top of chests of drawers. Smaller pieces could fit together to form larger ensembles; the sofas had cushions with cut off corners to which smaller tables could be fitted. Decoration was limited to the edges so that ‘is of the piece, not on it’ and there were no handles only drawer pulls which could ‘catch light and shadow for interesting and changing patterns’. 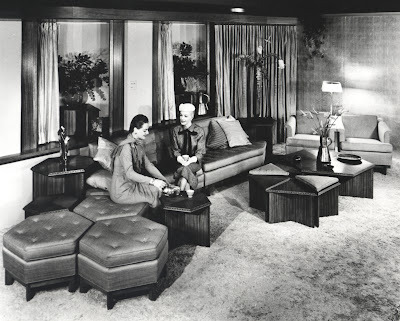 Unfortunately whilst the advertising at the time stated ‘We have been asked who will like this totally new-type of furniture and our answer is that everyone will because it is the next trend’, the furniture failed to be popular with the American public. Whilst the line wasn’t unprofitable, repeat orders from stockists were insufficient to justify its production and Wright ended his contract with the company in 1956. P.S. 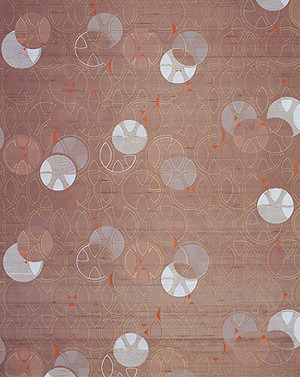 I could have written a whole other blog on Wright’s beautiful ‘Taliesin Ensemble’ fabric and wallpaper designs, but unfortunately we don’t have any in the collection. To see some online have a look at The Metropolitan Museum of Art website who have this amazing fabric (below) by F. Schumacher and Company.or the Victoria & Albert Museum who have some of Wright’s wallpaper. 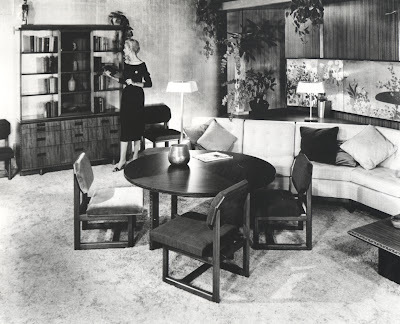 Great post on heritageHenredon furniture. Thanks for sharing. Great to see, and all the best. Please write if you have questions and I'll work to offer up an answer.